US court won't reconsider light penalty on Iran, Syria for murder of the 3 boys in Gush Etzion, blames family for living over Green Line. 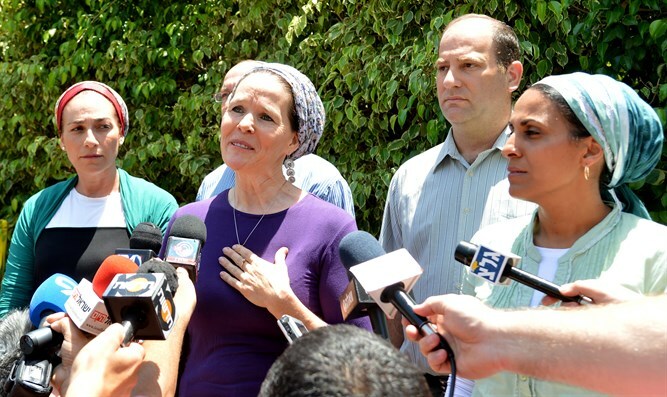 Federal Judge Rosemary Collyer refused the Fraenkel family's request to reconsider the low compensation imposed on Iran and Syria as those responsible for the kidnapping and murder of their son Naftali, along with Eyal Yifrach and Gil-Ad Sha'ar. The verdict set a compensation of $ 4.1 million, while the suit demanded $ 340 million, an amount that was common in previous similar suits. The suit was based on the fact that Naftali's family had American citizenship. "The Plaintiffs took upon themselves the risks of living in a community built beyond the Green Line in Israel, and sending Naftali Fraenkel another 40 kilometers into the West Bank to a high school in Gush Etzion, 6 kilometers from the city of Hevron," the judge wrote in her decision not to accept the family's request to rediscuss the light penalty she imposed, according to Yediot Aharonot this morning. It should be noted that the judge did not remove responsibility from Iran and Syria, and ruled that "the death of Naftali Fraenkel was a tragic case for which no monetary amount can compensate." "Iran and Syria did provide material assistance to Hamas and facilitated Naftali’s kidnapping and murder," she said - but this did not lead to a different conclusion. The newspaper also quoted Naftali's mother, Racheli Fraenkel, after the judge's outrageous remarks: "This is inconceivable, the children were on their way to school, what responsibility do the boys have for their deaths?" Fraenkel called the original ruling "outrageous" and added: "The boys were on their way home from school, so [it’s permitted to kill them?] Over this our lawyers appealed and won. Does it hurt to hear? I try to manage this issue from the mind and not from emotion, some emotional distance is definitely protective and helps."